Motivate Val Morgan offers 360 degree exposure and innovative opportunities for brands utilizing both on-screen and off-screen advertising. Launching or promoting a new product/service? Combining on-screen advertising with in-cinema sampling will increase brand reach and recall, and is pertinent to brands targeting mass or niche (luxury) audiences. A 30 sec. 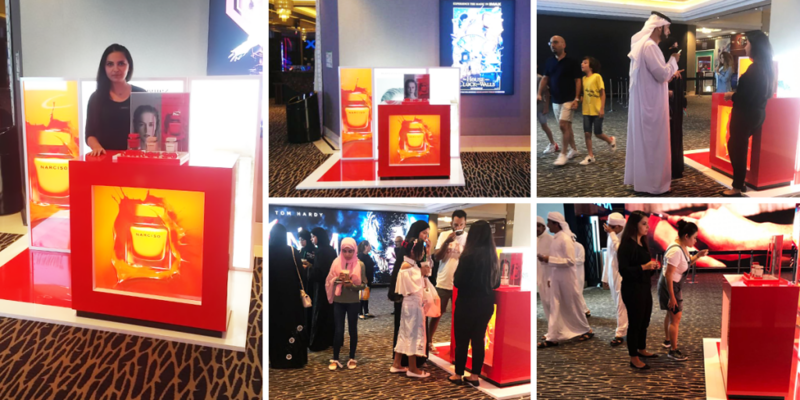 on-screen ad was booked to screen on the premium screens at Reel Cinemas (The Dubai Mall) VOX Cinemas (City Centre Mirdif, Mall of the Emirates, Marina Mall Abu Dhabi and Yas Mall – Abu Dhabi), Roxy Cinemas (The Beach) and Oscar Cinema (Al Wahda Mall) for a period of 4 weeks – 20th September to 17th October 2018. 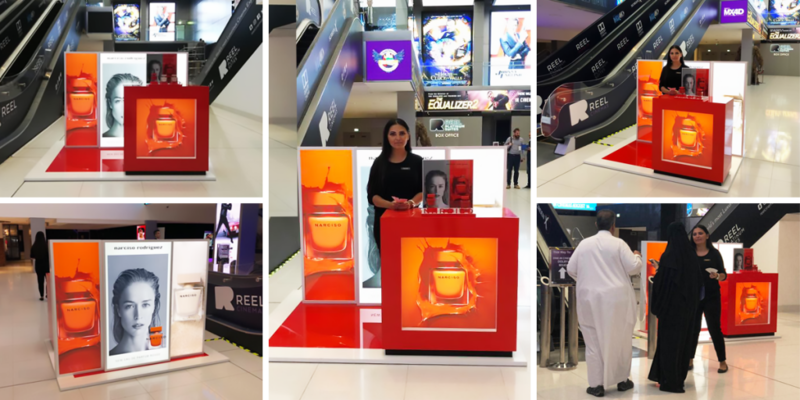 A sampling stand was set up in the concourse area of Reel Cinemas – The Dubai Mall (in close proximity to the premium screens) over weekends 20th – 22nd September and 27th – 29th September 2018, and at VOX Cinemas – Mall of the Emirates (in close proximity to the lounge area of Theatre by Rhodes) over weekends 4th – 6th October and 11th – 13th October 2018. 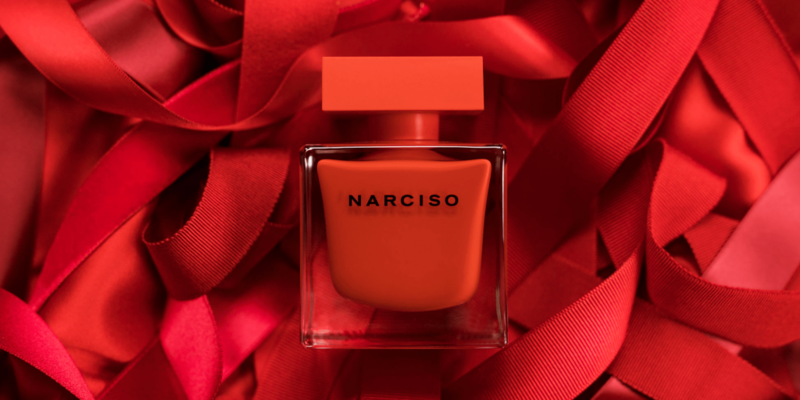 For more information on niche (luxury) audience targeting, refer to Cinema Remains an Important Touchpoint for Luxury Brands. Contact a member of our sales team for more information on integrated cinema campaigns targeting both mass and niche cinema audiences.